This is a guest review from Christopher Lewis. 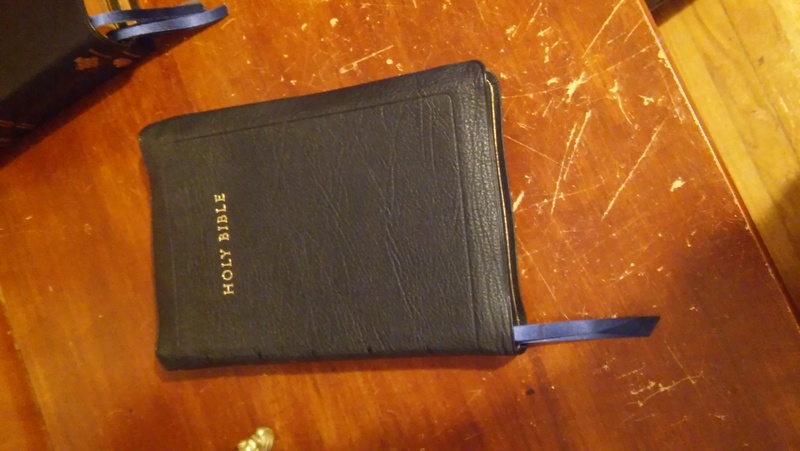 I will start by saying how honored I am to be doing this review and to own this bible. 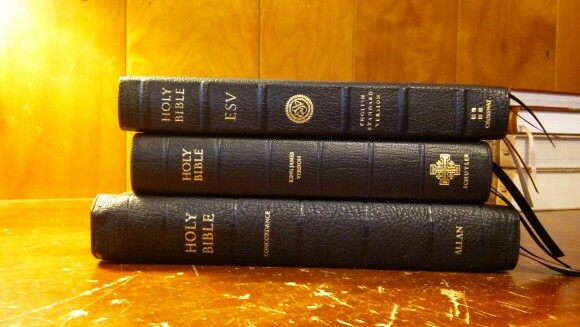 Like every bible, its not “The One”. 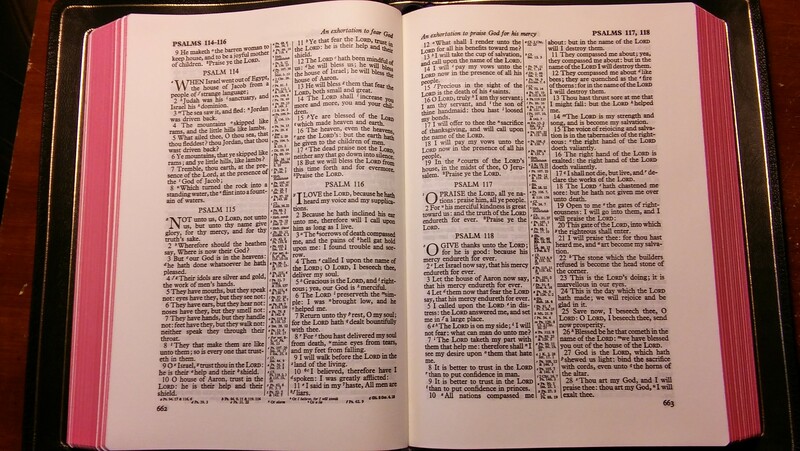 I do not believe there is a “be all bible”. 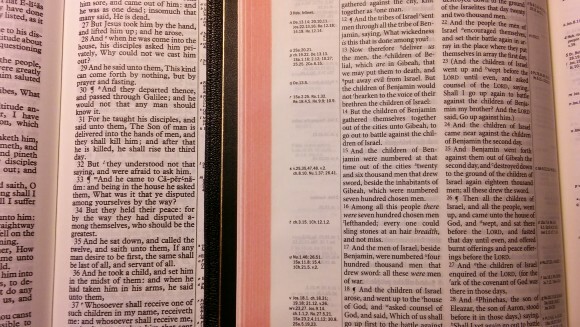 Allan designed this bible for easier reading, due to the thick paper, bold print, and margins. They hit it on the head with this design. 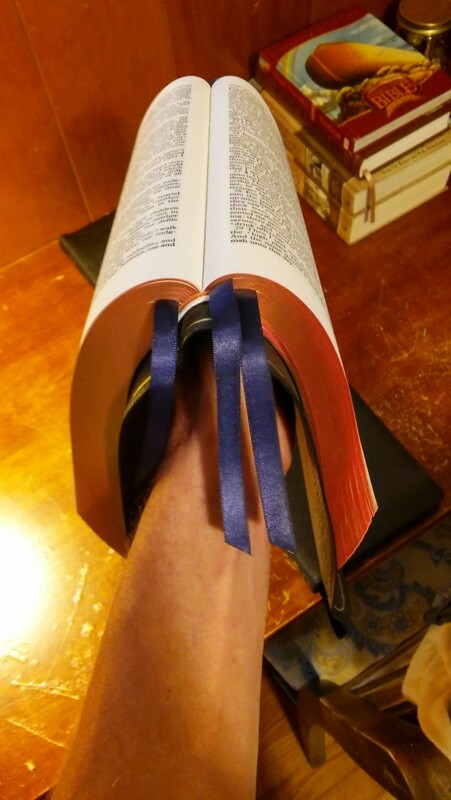 This is not a hand or mid size bible. 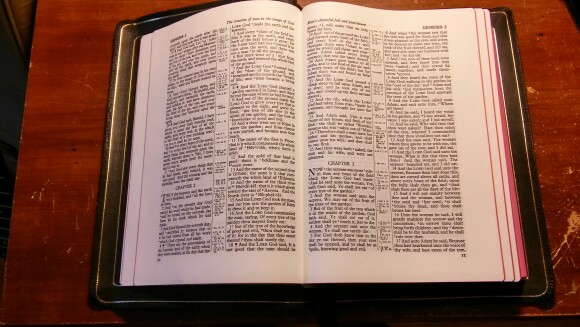 This bible is big! 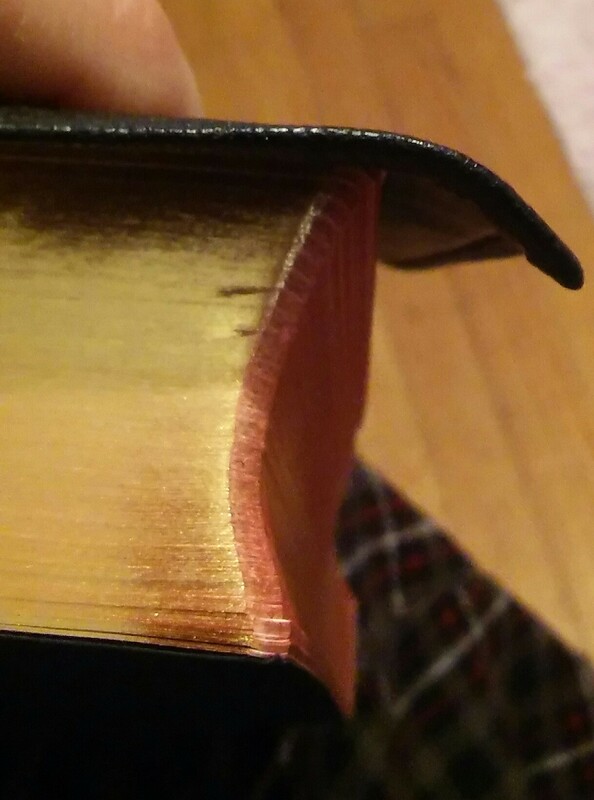 From top to bottom…Crossway Heirloom ESV, Schuyler Westminster KJV, and the Longprimer 63. 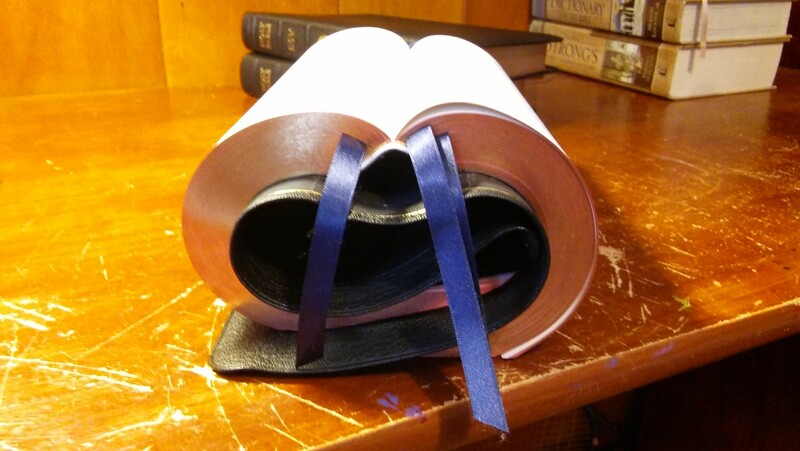 The Longprimer is a 1/4 inch thicker than the Schuyler and obviously longer and wider than both the others. 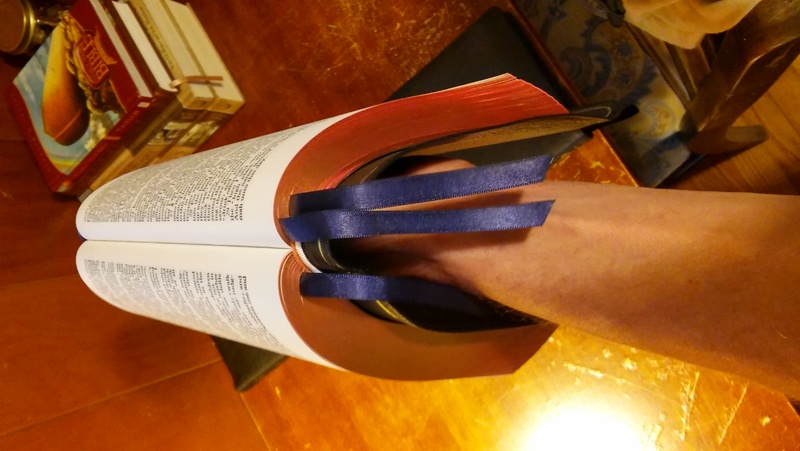 Flexability- This is the most limp bible I have ever seen. It has the original Allan binding we have grown to love in the 53 series. This is a good thing, but only for desk use as you will see in the pictures. 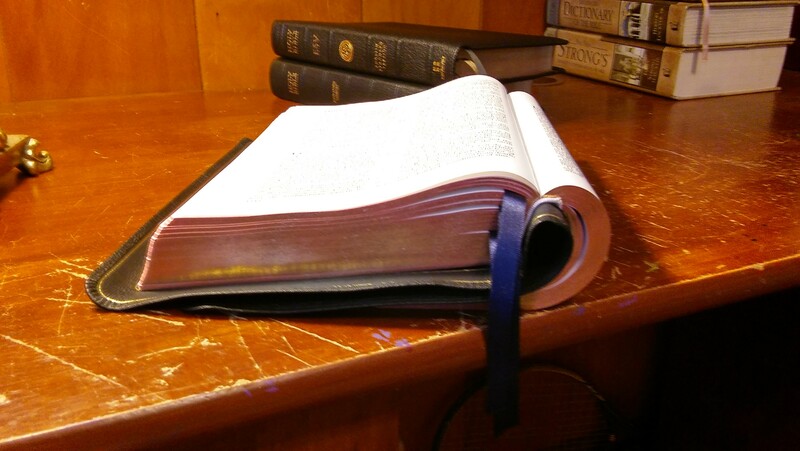 Because this bible is so heavy, it is a work out trying to hold it in hand. 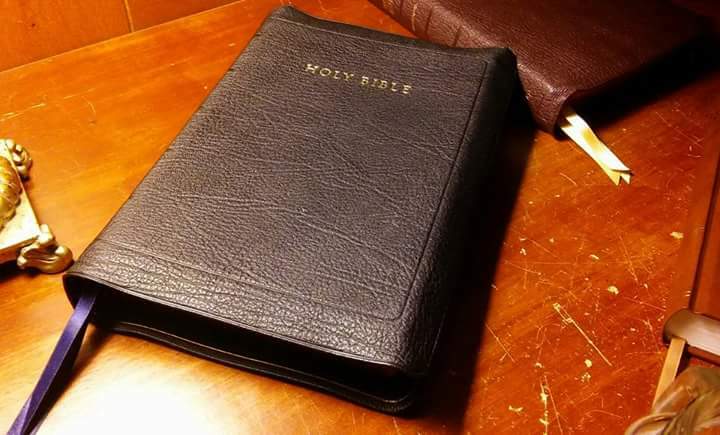 However, on a desk or pulpit, this bible will trump all competitors in any category. 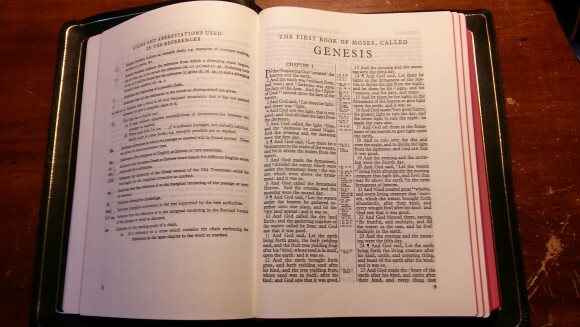 Of course like all Allan bibles, it stays flat at Genesis 1. To top that off, turn to chapter two. 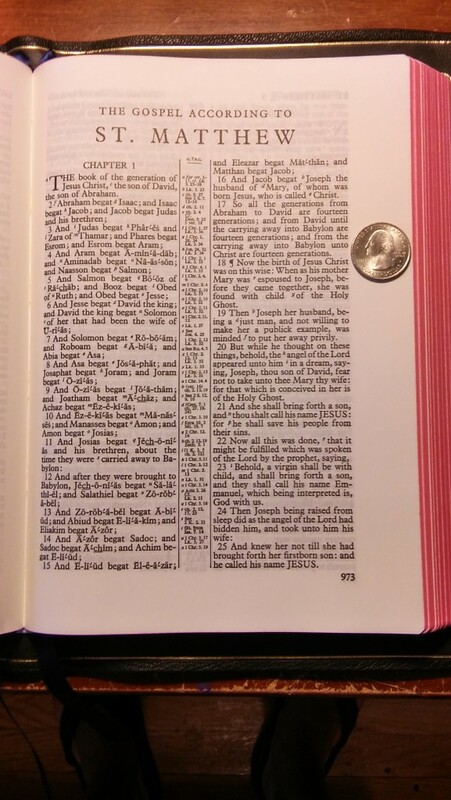 You can clearly see how well this bible lays open without any work at all while I had to work the other two just to get them the way they are. The text is 10 point bold font. I will let the pictures speak for themselves. 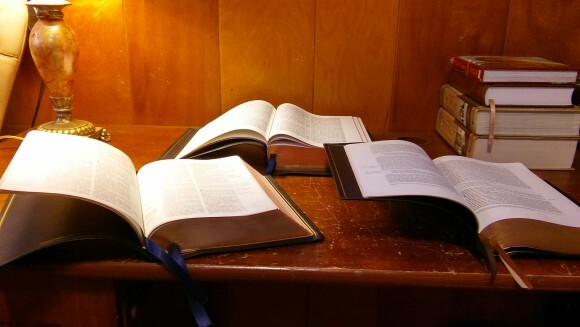 I will just say…look no further if readability is on your mind. This IS the bible of bibles. It’s definitely a good choice! 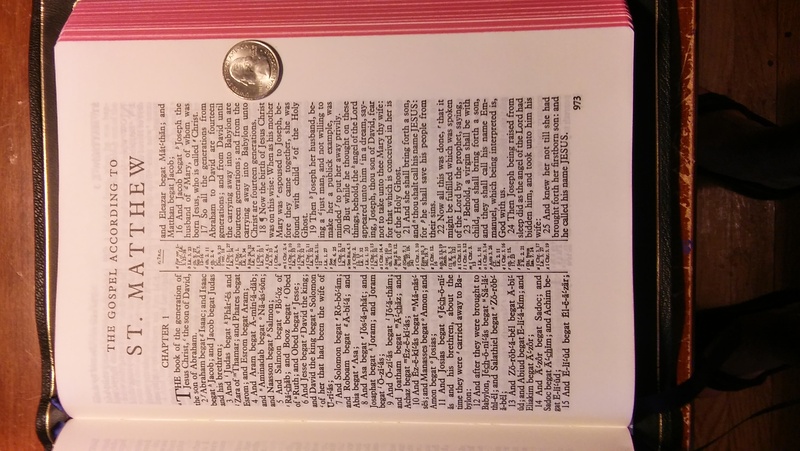 I would love to have that in KJV! Thanks for the review. 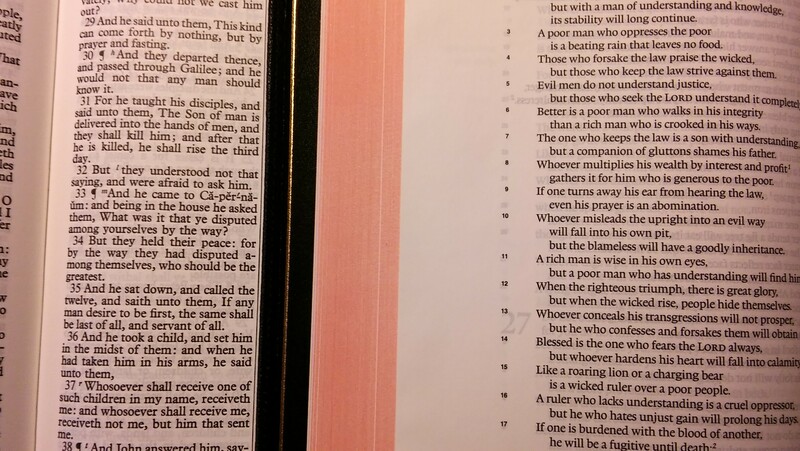 Would you say the margin is large enough to be a wide margin bible? Would you be able to fit all your notes into this bible? Hi John. For the outer and bottom margin maybe, but not the inner margin. If you write short notes you might get them in, but anything more than that your notes wouldn’t fit. Thanks Randy. It certainly looks like a beautiful bible. 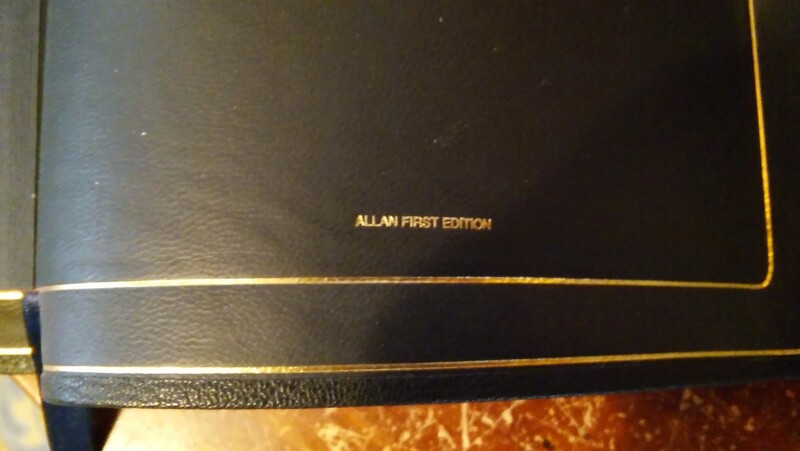 If the margins were just a bit bigger it would edge out my Allan 5WM. 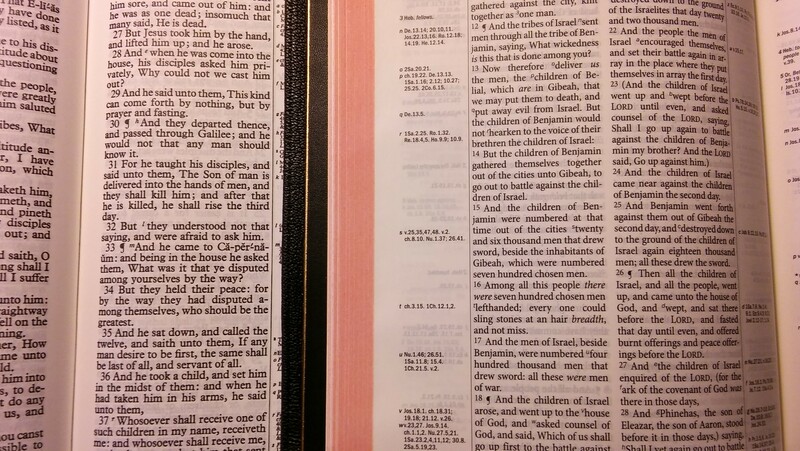 The Brevier Clarendon has wonderful wide margins but I would prefer the larger Longprimer font. I don’t see any reviews on the 62. I’ve had a purple one for over a week and like it much more than the 63. 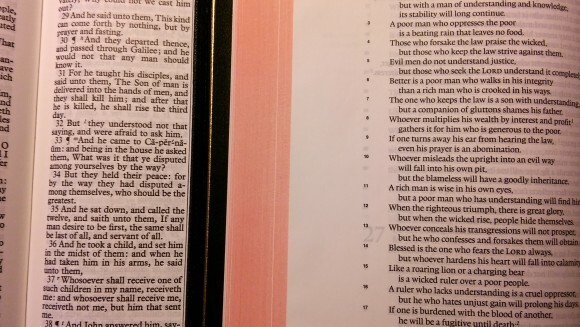 Both are elegant in their own right but the 62 has a tighter binding which works best for this bible. In my original blog on the 63 I couldn’t hold it in hand comfortably but with the 62 that is not the case. God bless. Thanks for the info Christopher! 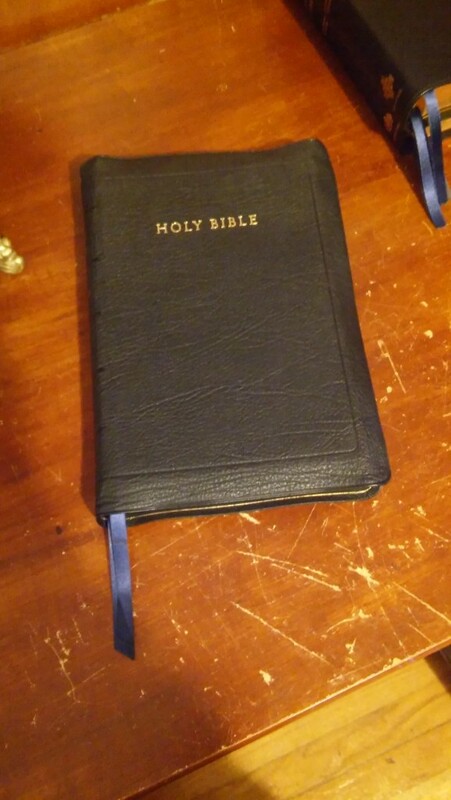 Where can I purchase this Bible for a reasonable price? 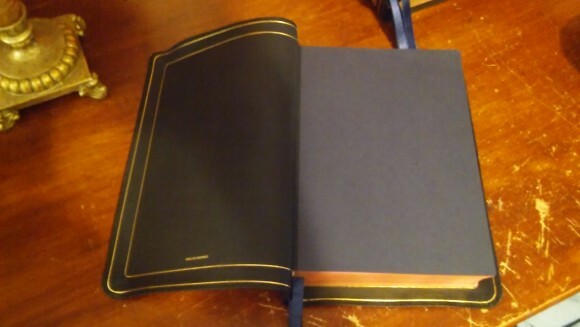 As of this writing there is one on EBAY for over $1000. They’re currently out of stock. 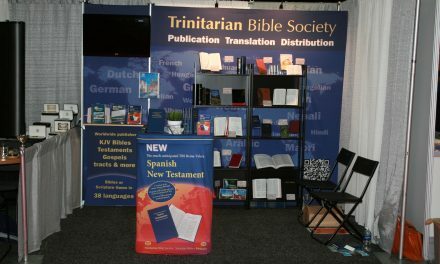 The best places to buy them when Allan produces the next batch is Evangelical Bible and Bibles Direct.